The good news is the Republican Party of Alaska is considering throwing Lisa Murkowski out of the party for her ‘no’ vote on Brett Kavanaugh’s confirmation to the Supreme Court. 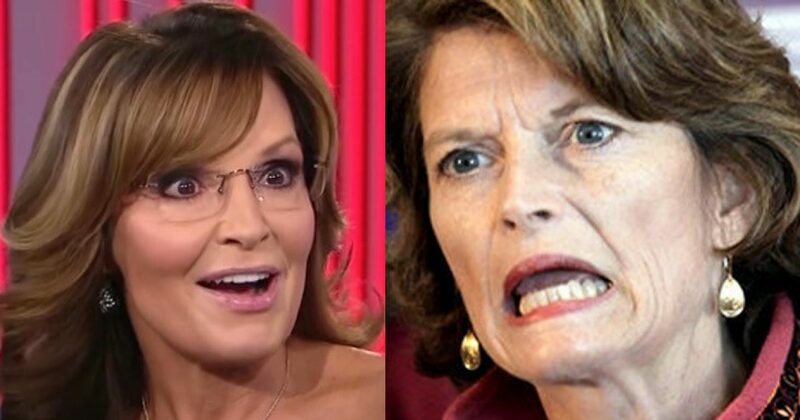 The really good news is Sarah Palin is considering running for Murkowski’s seat in 2022. Palin would be a tremendous addition to the Senate, a solid patriot replacing another wasted Rino. My question is if Murkowski is thrown out of the Republican Party, will she join the Democrat Party or become an independent? Either way, I see no way should could beat Sarah Palin, no matter what party she is in. JUNEAU, Alaska (AP) — “Alaska Republican party leaders plan to consider whether to reprimand U.S. Sen. Lisa Murkowski for opposing Supreme Court Justice Brett Kavanaugh’s confirmation. YES! Run, Sarah, Run! You will be a shoo-in after Murkowski stepped in it with her 'no' vote on Kavanaugh (I wonder how much Soros paid her for that). The GOP is actually considering throwing her out of the party. America needs a patriot in that seat, not a Rino like Murkowski. Hey, look, everyone, a raging moron! How is Sarah's family any of your business? You tend to your family, I'll tend to mine, and Sarah can tend to hers. American women (men too) would LOVE to see Sarah Palin in the US Senate. Although I don’t live in Alaska, I will campaign against you with the ferocity of a Mama Grissly & a Hockey Mom.